In Clinton, CT, on the Connecticut shore (Long Island Sound) , about 20 miles east of New Haven. 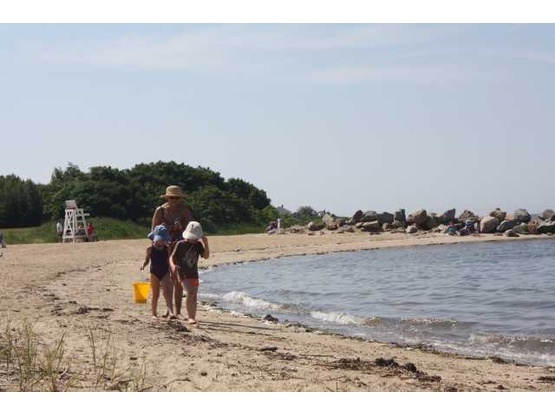 15-minute walk to town beach. Fairly level gravel driveway, Class C would be maximum. All the pleasures of the Connecticut shore, on Long Island Sound. New Haven, New London, Mystic, Lower CT River Valley. A+ great 1st time boondockers experience!! Hal & Danielle met us with a smile upon our arrival. Helped us park the pizzlewig express , hooked us up with power and some water to replenish our tanks. They invited us in for a quick chat and a "sociable". Could not ask for a better 1st time boondockers welcome experience. fast response, very friendly very hospitable gave us some fresh beans from their garden which we enjoyed with our supper. had the chance to sit and talk about some of their travels. We had a great overnight here in the beginning of June. (Family emergencies preempted us from writing until now). We were happy to meet Hal and Danielle and their grand-daughters. They have a very quiet place and a beautiful garden. They offered us vegetables from their garden and were wery kind with us. We highly recommend them as hosts and their place to spend a night. Hal and Daniele hosted us even in their absence, providing us with water and electricity and kindly allowing our dogs when I neglected to read their amenities carefully. They also left leveling boards for us and were in phone contact with us several times ; very interested in our comfort. 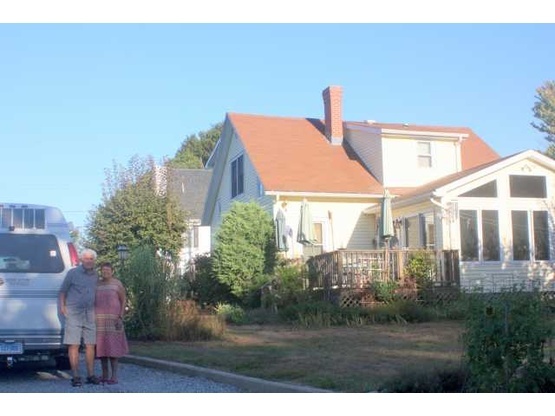 Their home lot offered lovely flower and vegetable gardens as well as a short walk to Main St.; a nice reprieve from the dusty road. We only wish we had had more time to stay and enjoy the serenity of their place and to actually meet them. We will definitely call on them again and highly recommend Hal and Daniele as hosts.